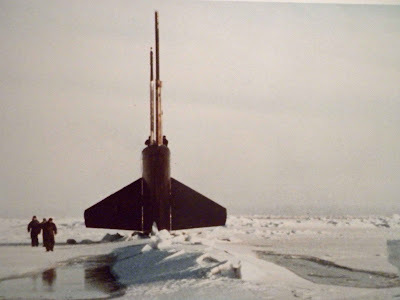 This is a photo of a submarine at the North Pole. It would have been nice to have been on the submarine, but I was not. Enjoy!